It’s that time of year again folks when we ask you to help us support the fantastic cause that is Ashgate Hospice on their annual Woofs and Wellies event. This year the event will take place on Sunday 14th April at 10am. 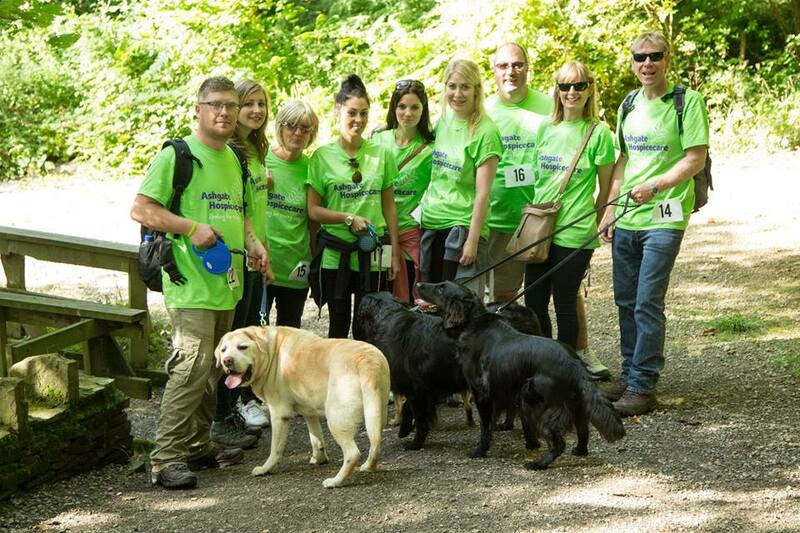 The walk will begin at Ashgate Hospice and take the route around the beautiful Linacre Reservoirs, finishing back at the Hospice. There will be stalls selling all types of doggie goodies as well as stuff for their humans and your dog will receive a free goody bag at the end of the walk as well as a participant’s medal. There will also be a mini fair and dog show so the event will be fun for all the family! As always, we’ll be there to support everyone and help make the day a huge success as it has been in previous years. Last year the event raised over £6,000! This amount could pay for 129 patients to receive a two hour Hospice at Home visit. Entry fees are only £5 for adults and £1 for children, but there are plenty of other ways in which you can help raise money for the hospice on the day. Why not open your own Just Giving page and get people to sponsor you and your pooch to do the walk? Just click here to create your page. For more information and terms and conditions, visit the Ashgate Hospice website here, or if you’d like to know more or get involved, you can call the Ashgate Hospice fundraigin team on 01246 567250 or email fundraising@ashgatehospicecare.org.uk. We’d love to see you all there on the day!